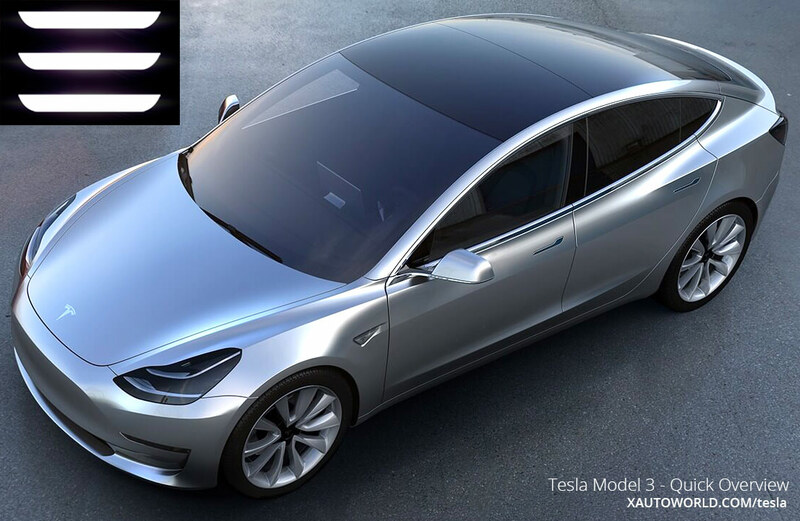 Tesla Model 3 unveiled 31st Mar 2016 with huge anticipation from the fans of EVs and Tesla. The famous Mr. Elon Musk CEO, Tesla made the presentation at the unveil event. Presentation started with why they are so passionate about making electric vehicles and that happens to be because of the environmental pollution. Let’s quickly go through what the buyers of the car should initially be expecting out of this electric car. 2. Autopilot Hardware will be standard on all variants but you will need to get it activated for an additional cost like on the S and X models. 3. The range is going to be 215 miles per charge and according to Tesla they are working to even improve this. The Supercharger option will be standard on all models. 4. Yes you read it correctly above, it costs only $35,000. Now you can dream of driving a Tesla without being Richie-rich. 5. Aiming to achieve 5-Star safety ratings in all segments not just overall 5 star rating. 6. 0-60 mph in under 6 seconds and still Tesla is aiming to improve it on this economical model. 7. Elon Musk has recently answered on twitter about the drag coefficient of the Model 3 will hopefully be 0.21 that is very great for a production car. In another article of ours we have discussed the Mercedes Benz’s Intelligent Aerodynamic Automobile that has a drag coefficient of 0.19 that means Tesla Model 3 will be the most aerodynamic production car in U.S history. 8. The rear window and the roof are one painted glass that provides plenty of headroom and a feeling of openness. 9. Room for 5 Adults, yes it’s big enough inside. This also means it has more cabin capacity compared to any gasoline car of the same external dimensions. 10. Having the most advanced battery and 3068 Supercharger points worldwide make it a mentionable milestone in electric car history. Tesla is planning to double the Supercharger and Destination Charger points by end of 2017 which means enough chargers for the new model 3 owners.